Suzanne Curran Aquino is an executive director at UBS in the Supply and Demand Management Global Outsourcing and Offshoring Group, which is responsible for establishing and executing the bank’s sourcing strategy, identifying ways to improve performance and the effective transition of the bank’s outsourced portfolios. An expert in her field, she is a frequent guest speaker at many industry conferences. 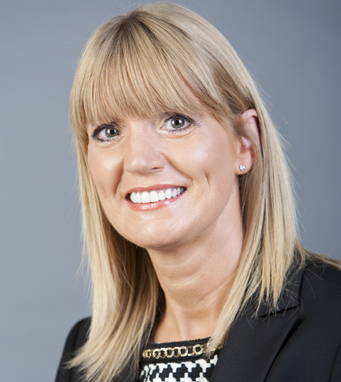 Suzanne was born in Belfast and holds a bachelor’s degree in marketing from Portobello College, Dublin. She is an active member of the UBS All Bar None Women’s Network, the UBS Cultural Awareness Network, the National Association of Professional Women and the Irish Business Organization. Suzanne – whose father and mother hail from counties Armagh and Tyrone, respectively – credits her Irish upbringing for her “strong work ethic, honesty, integrity and passion for challenges.” Having grown up overlooking what is now the Titanic Quarter, Suzanne is “extremely proud” of Belfast’s “best regeneration project.” She is married to Joseph Aquino.